How many Prospector credits do I get per month? How do I check on my credit usage? Navigate to Settings >> Billing and check out the "# of ## Prospector Credits" line. Do my included Prospector Credits expire? 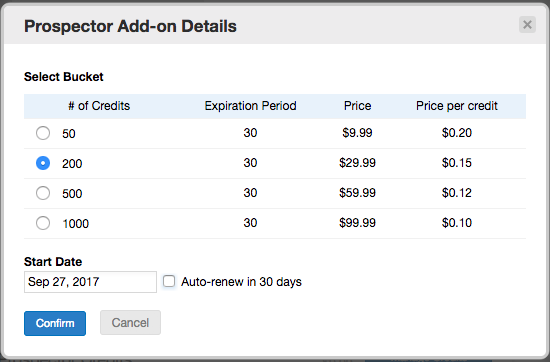 Account Prospector Credits reset to the base value on your monthly billing date. 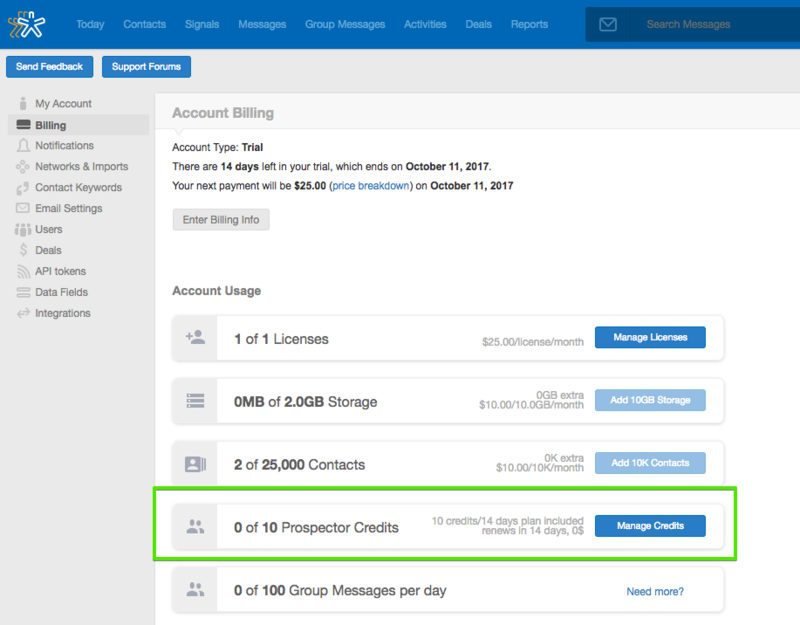 For example, Prospector Credits for Nimble Business accounts reset to 25 per user on your monthly billing date. They do not roll over between months. This does not affect the number of credits purchased as an add-on. Do my add-on Prospector Credits expire? 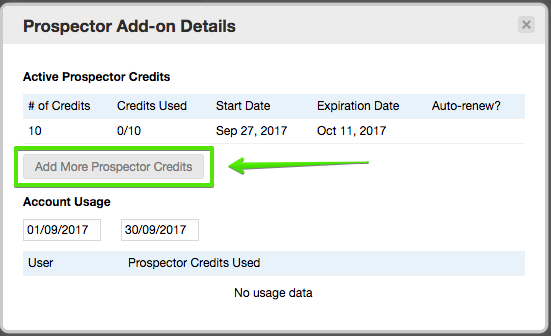 Yes, additional Prospector Credits expire 30 days after the credit purchase date. How are Prospector Credits shared between team members? Each team member on a Nimble account has a base number of Prospector Credits for themselves. For example, Business Accounts have 25 Prospector Credits per user per month. How are Prospector add-on Credits shared between team members? Prospector add-on Credits are shared between all team members. For example teams that purchase 50, 200, 500, or 1000 additional credits will have these shared among all team members. We plan to introduce administrative restrictions in the future. How do I upgrade my credits? Have your Account Administrator select "Manage Credits" to add more Prospector credits to be shared amongst your team members. Since Prospector Credits expire after 30 days and do not roll over, be sure to select the # of Credits you are sure to use within this time period. How do I turn off auto-renewal of my Prospector Add-on? 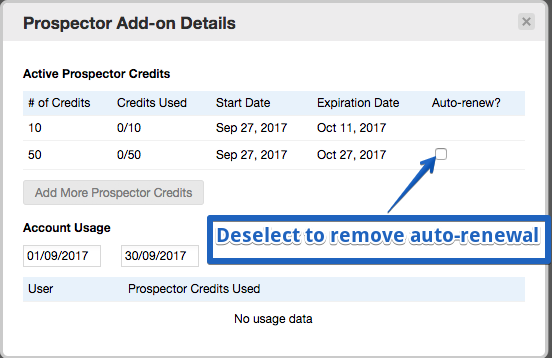 If you currently have a Prospector Add-on and want to turn off auto-renewal, go to Settings >> Billing and select "Manage Credits" next to the Prospector option. From the pop-up, deselect the "Auto-renew" check box and exit the pop-up.